True Food Kitchen announced its grand opening date on the Country Club Plaza. The restaurant will open March 13. Starting Monday, True Food plans to host a job fair. It will continue for three weeks. KANSAS CITY, Mo. — True Food Kitchen announced its grand opening date on the Country Club Plaza. The restaurant will open March 13. Starting Monday, True Food plans to host a job fair. It will continue for three weeks. They're looking to hire 135 members to their team. There are a number of different positions, including servers, hosts/hostesses, prep cooks, pastry cooks, line cooks, wok cooks, back servers, dishwashers, pizza cooks and bartenders. 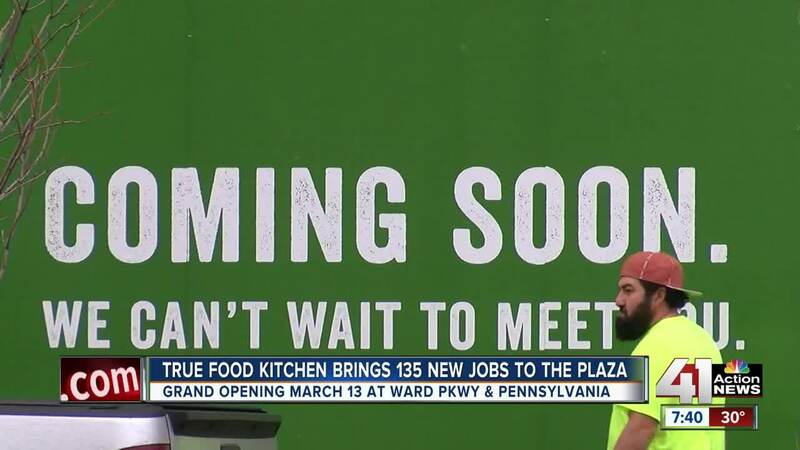 True Food Kitchen is opening in the old Plaza III location on 48th Street.